onejustworld: The twin evil of the TTP and TTIP Crimes against Humanity! The twin evil of the TTP and TTIP Crimes against Humanity! 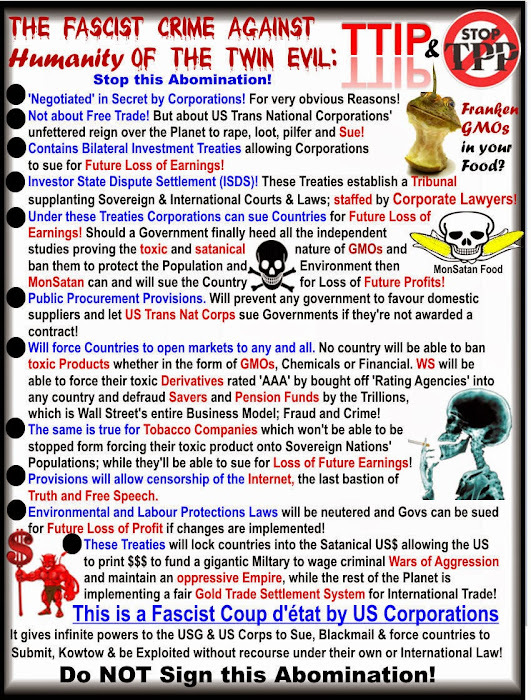 Just to remind everyone what the TPP and TTIP are all about: a usurpation of sovereignty, the overriding of national and international laws and conventions for the sole benefit of US Transnational Fascist Corporations. 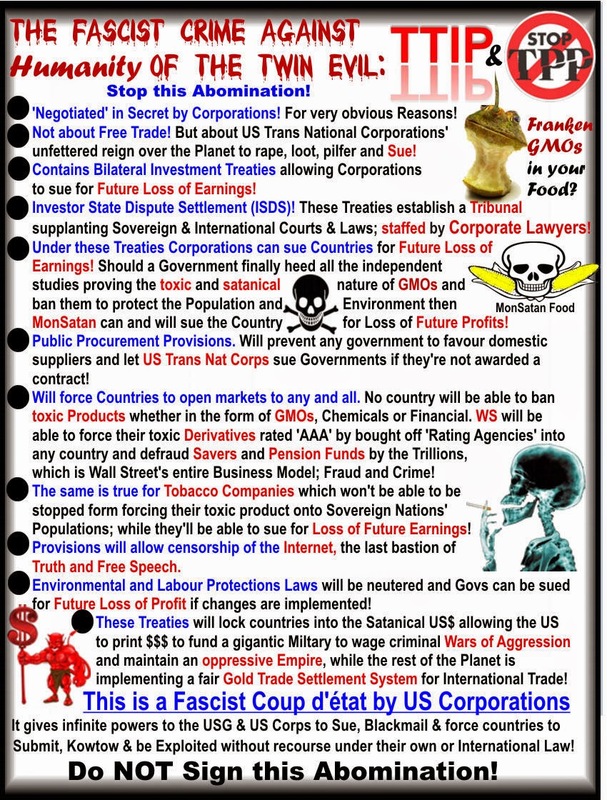 It's the deathknell to Nation States as we know it, replaced by fiefdoms and vassal colonies to the Fascist Multinational Vultures who will be Judge Jury and Executioners in their own realm of Corporate Planet Earth; Fascism pure! Who exactly are the member Countries to the TPP & TTIP getting into bed with? The Ukrainian ‘Revolution of Dignity’ and the ugly truth behind the glossy façade! Does Tibet really have an historical claim to independence? Crimes against Humanity, the ICC and why African Countries are deserting it in droves! Thanks for g+1 this post if you liked it, see top right!